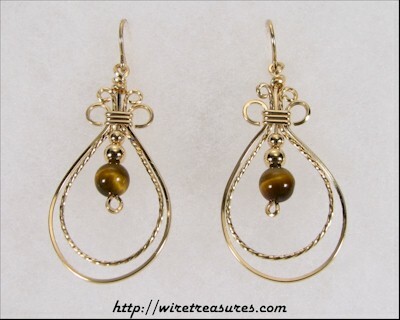 These pretty earrings have two loops of 14K Gold Filled wire, one twisted; each earring has two gold beads and a larger Tigereye Jasper bead. A simple design with an elegant look! You are visitor number 4,036 to this page.